One of the hardest things when writing content for your blog is finding a nice image to go with it. A nice image is a great way to keep your user's attention when visiting your site. It also encourages them to read you content. There are different ways to approach this. You can use public domain images, royalty free images, or Create Commons images. Knowing the policies of each of these will ensure that you don't steal anyone's credit. There are different types of free images that you need to know for legal reasons. A public domain image is one that had a copyright at one time, but has now expired. These types of images are free to use for personal or commercial projects. There is a "free for all uses" policy that states if there is a recognizable person in the image. You must have his or her permission to use it. I am only touching on Creative Commons CC0, which is "No Rights Reserved". This is when the creator has removed all rights to his or her works. You can manipulate the image as you feel necessary. To use these types of images, you must give appropriate credit of the original creator. Royalty free images are not free images. They usually have an upfront fee per image. Once you pay this fee you will not have any additional royalties charges. This is usually the case with most subscription based image websites. Now you are wondering where you can find such places. There are a lot of different places that you can find inspiration. One thing you will notice about the CC0 and Public Domain image sites is the lack of quality. Neither the less I have compiled a couple of good resources. Watch the different licensing restrictions. There is a mix of all types of images. 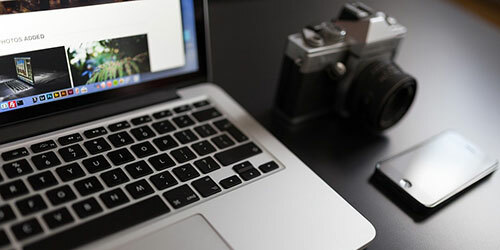 You can easily find some nice free images for your blog. All images here are free of copyrights and under CC0. Exactly what it sounds like, a collection of public domain images. When you can't find what you are looking for or you need something of higher quality. It might be worth it for your project to pay for images. Some major advantages of paying for images is that there is an endless section of images. They are higher is resolution quality and once you pay they are yours. There are two different ways to approach a paid service. Either you pay a membership fee or you buy per images. The membership plans are the way to go if you need images on a day to day basis. You get whatever you want in whatever resolution size you want. If you need an image ever once and a while then just buy what you need as often as you need. With combining forces with Adobe, it continues to grow. It has a huge variety of images, illustrations, and even movies. They offer a membership plan and a pay by image plan. Probably the most used and well known of image marketplaces. Has everything from photos, vectors, illustrations, icons, videos, and music. Use the per image or monthly plan. Another huge marketplace of images. With photos, illustrations, videos, and audio. Their pricing is higher than the others but has quality images with a monthly or per image price. It's up to you if you want to use a paid service or a free service. The bottom line is that free services have some good picture with a small variety. Paid services might cost you some money but the variety and quality is great. Good luck hunting for images.